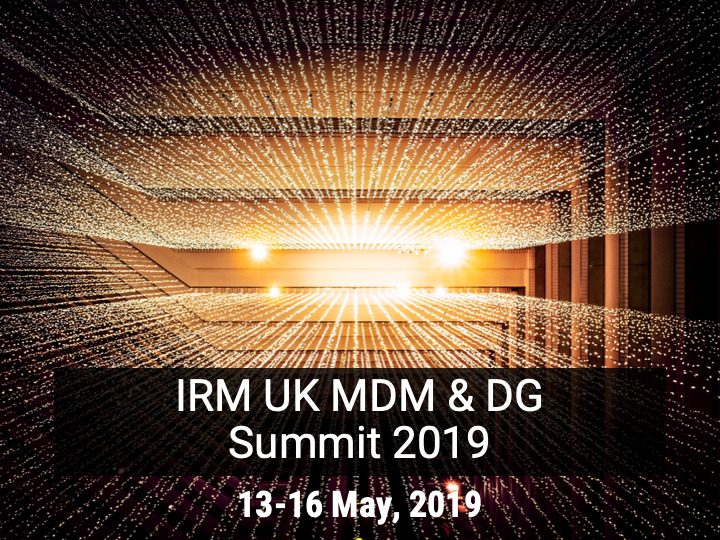 Semarchy is excited to be returning once again as a Platinum Sponsor to the IRM UK Master Data Management & Data Governance Summit. This unique event features 2 summits running concurrently, so as to let attendees bounce between focus tracks. Semarchy CEO Salah Kamel will be performing double duty in both presenting "Demystifying Graph to Serve your MDM Strategy" and participating in a panel discussion "The Future of MDM," moderated by Malcolm Chisholm, CIO of First San Francisco Partners. Semarchy clients Metropolitan Thames Valley, RES Group and Volvo will all be presenting their unique stories at the conference. Henrik Liliendahl, Co-founder and CEO of Product Data Lake, will also be onsite sharing his thoughts on Multi Enterprise MDM. RES implemented an Intelligent Data Hub with xDM to address their challenge of introducing a sustainable approach to data governance. Salah Kamel is the Chief Executive Officer and founder of Semarchy. Prior to founding Semarchy, Salah was Senior Architect for Oracle’s Enterprise Information Management products. If you would like to attend this event, click below to register! Be sure to use our sponsor code SEM10 to receive a 10% discount on registration!